10 days worth of work on this. I made it very static looking so it would be a tad easier when I make the lowpoly and rig for posing, I hope. 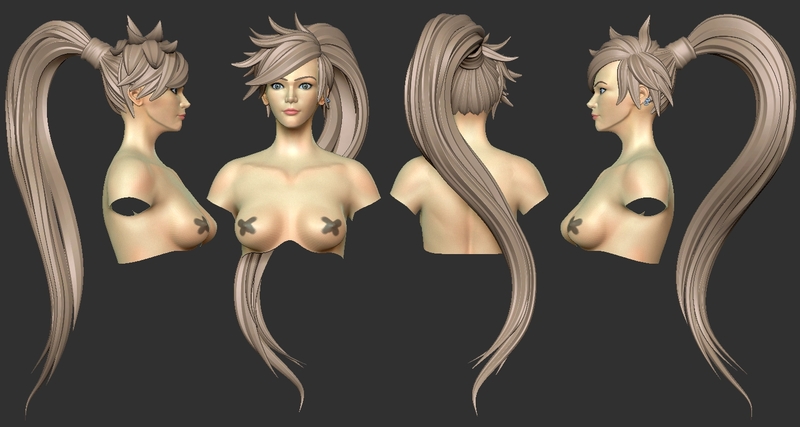 I will also pose this high res sculpt later as well. 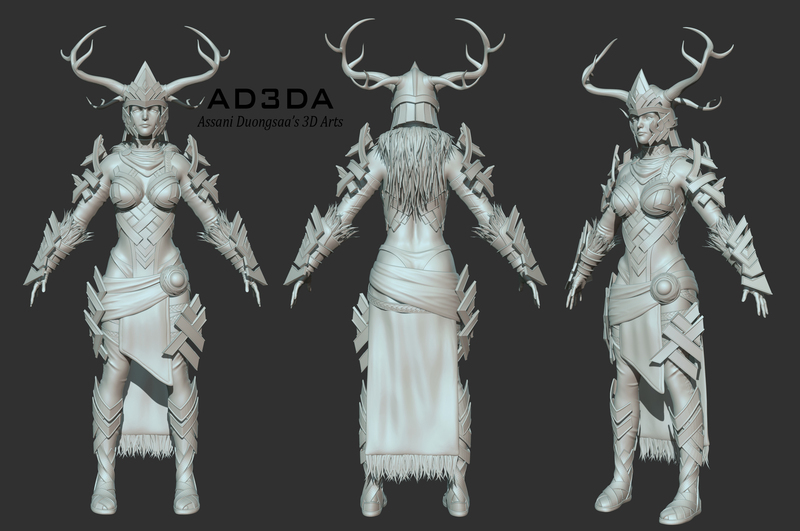 Next is adding clothing patterns, and guess I will adjust the shape of the horns a bit... especially in 3/4 view. Baked onto 1k x 1k texture resolution (considered very low by today standard). Will show my texture progress next time. Funny note; it was exactly this day last year I sent it in as well Hope I get the position this year.... I really really want it... Been after it for 3 yrs now. Good luck! Never give up on your dreams! Last edited by WNxPyrZern; 05-14-2016 at 06:18 PM.. Looking forward to it bud, you skills with hair is outstanding. I was busy installing laminates replacing carpets at my place. Back to doing 3d stuff now. Wow Pyr you are very good at this. Thanks I've been at it for some time now. New hair !! Look upward; kids !! Great work Pyr! Really love the new hair. Thanks I'm really taking my time with this project.... Before, I would have finished this months ago lol !! Last edited by WNxPyrZern; 07-06-2016 at 01:42 AM..
What did you do to her arms! 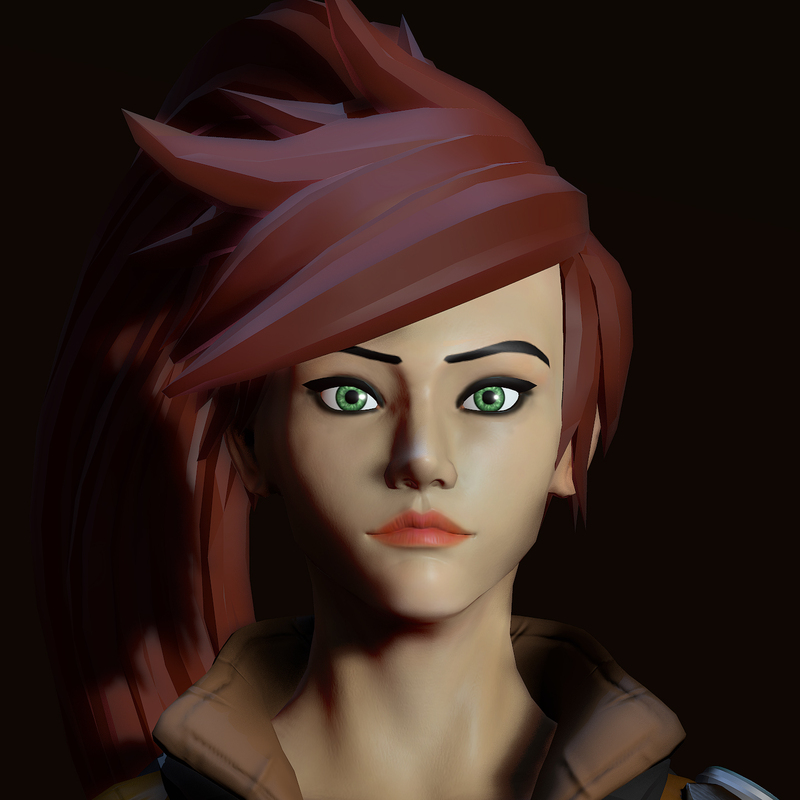 Reworking a few parts... Made a portrait render. Last post here, since it seems everyone is gone now I will be on my Facebook. Last edited by WNxPyrZern; 07-30-2016 at 03:22 PM..